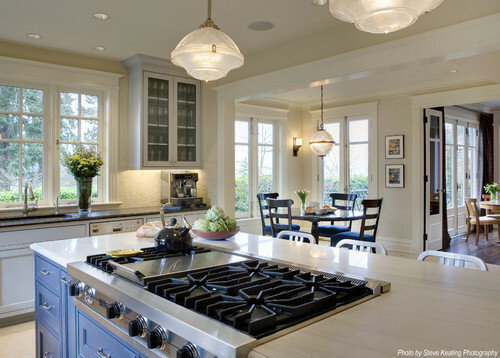 Struggling to choose kitchen ventilation? Discover top brands & values in our buying guide. So what do you want your kitchen to look like? 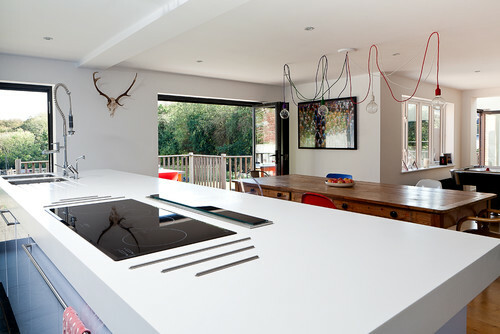 Do you want a cooktop and downdraft or the flexibility of a whole range and a professional hood. They are two very different visuals and both can work under the right circumstances. 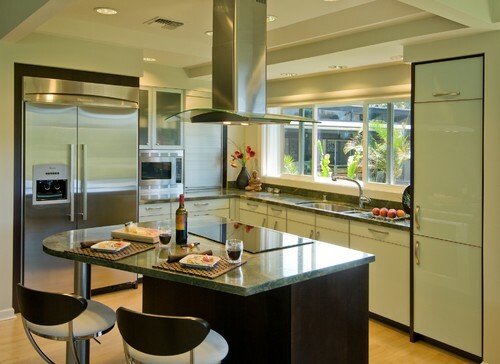 You also want efficient ventilation to keep smoke, odors and grease from lingering in your kitchen. We will review the advantages of both plus a few pics of each. If you looked for an island hood back in 1986, I would have shown you two. There was an awful looking Nutone made in 4 finishes like Harvest Wheat and Coppertone. The other was the Broan “Chuckwagon” hood. It brought back the 1880s Wild West here in New England. Needless to say, we did not sell either very well. In the 1990s, the European companies like Best, Zephyr and Faber brought some really cool designs in a myriad of styles. There are different styles like this glass unit. Downdrafts became popular for a number of reasons. It is easier to vent a downdraft through the floor than a hood through the roof. Typically in construction, there is much easier access. Secondly, downdrafts look different than a larger hood aesthetically. 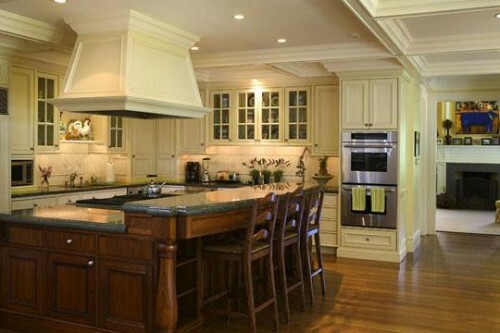 You can see the whole kitchen. Let's look at a few. 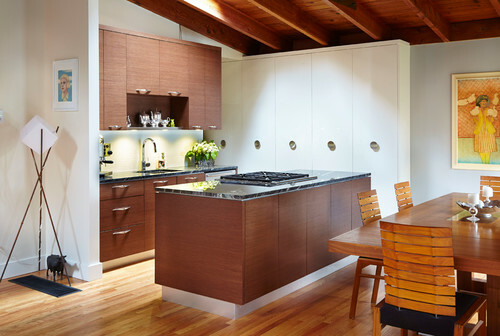 Functionally, island hoods are way better for a number of reasons. Most importantly, there is a huge difference in capture area. Smoke is first channeled, filtered and then exhausted. An island hood has plenty of capture area, but there is almost none in a downdraft. If you grill or wok, the downdraft will not be able to handle the smoke and grease. In fact, do NOT place a downdraft behind a professional cooktop or range. I am starting to see this configuration more frequently, and it will not exhaust properly. 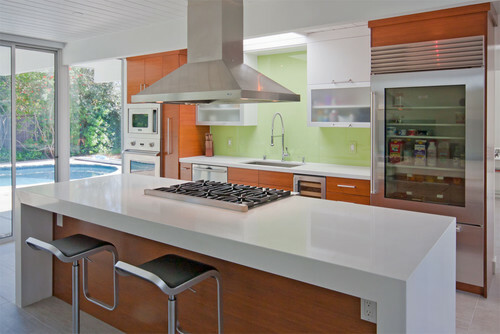 I like downdrafts because I do not cook much and like sleek contemporary styling. I would ask how you normally cooked. 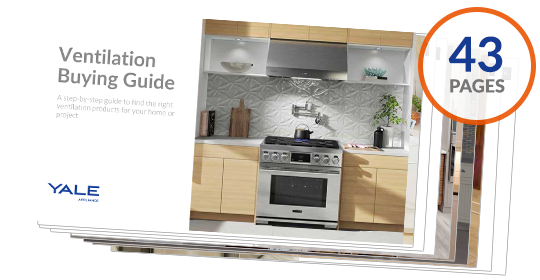 Download the Yale Ventilation Guide with features, specs and inside tips to venting properly. Over 80,000 people have read a Yale Guide.